I’m envious of my younger sister’s long, thick hair. My hair is the complete opposite – very fine and thin. I’m also noticing the older I get the thinner its becoming. And don’t even get me started on the shedding. Yes, I’m talking about hair shedding. I’m scared by the amount of hair that I’m noticing in the bathtub drain and my hair brush. John is always telling me he is finding my hairs all over the house. I resigned myself to thinking that I’ll just have to live with it. That was my thought until I recently learned about Hairfinity Hair Vitamins, a natural vitamin complex that encourages hair growth and makes hair shinier, thicker and longer. I knew I had to give them a try! 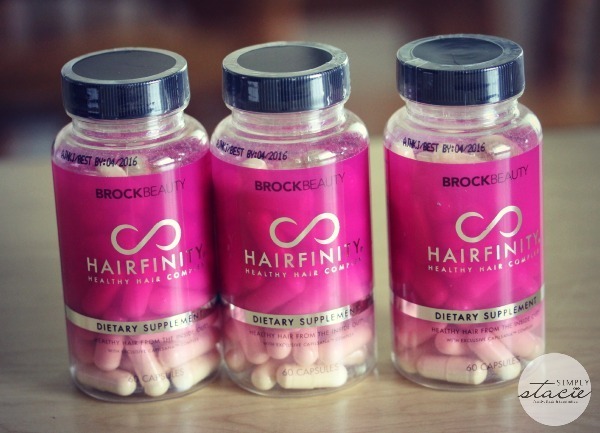 Hairfinity is a nutritional supplement formulated with essential nutrients for healthy hair. This specific formula contains Vitamins A, C, and D, a B-Vitamin Complex, Biotin, MSM, and more. Hairfinity is clinically proven to increase the hair growth rate by 155% while decreasing shedding. Two capsules are taken per day, and each bottle contains a one-month supply. It makes sense to me that hair health is linked to diet and nutritional health. The saying, “You are what you eat” comes to mind. 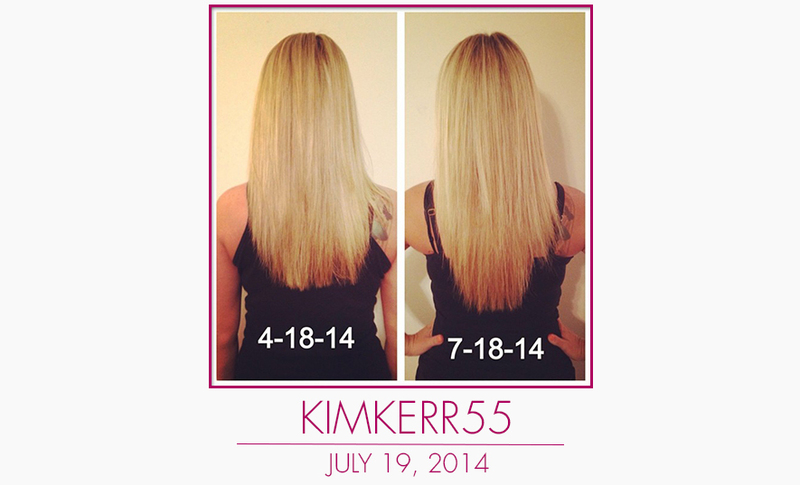 Hairfinity works from the inside out and is something completely new to me. I’ve never taken a supplement for my hair, but was open to giving it a shot. I’ve been taking Hairfinity for around 4 weeks now and so far so good. I’ve got a three month supply and am excited to see the changes continue through the coming weeks. I’m noticing that I’m not shedding as many hairs as before. I guess my body was missing those important nutrients! I know many of us (me included) are hard on our hair. From sun damage to swimming in pools, these factors and more can take its toll on our hair. I encourage you to check out Hairfinity and learn more to see if it’s right for you. The before and after gallery features many happy customers with some pretty incredible results! It’s exciting to see the positive changes in others and my own hair too! What do you wish you could change about your hair?